Author Written by Mihaela Dinita and last updated on Posted on June 5, 2017 . 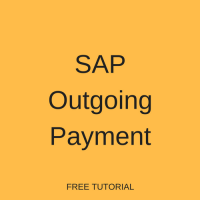 This tutorial is part of the SAP FI course and it talks about SAP outgoing payment and how to perform it manually. Learn how to use transactions F-53 and F-48. Payment processes in modern companies are being standardized and periodic payments runs are scheduled on specific days in order to pay vendor invoices. In such cases, payment for vendor will be done manually and the bank documents will be posted using transaction F-53 and F-48 (for down payments). 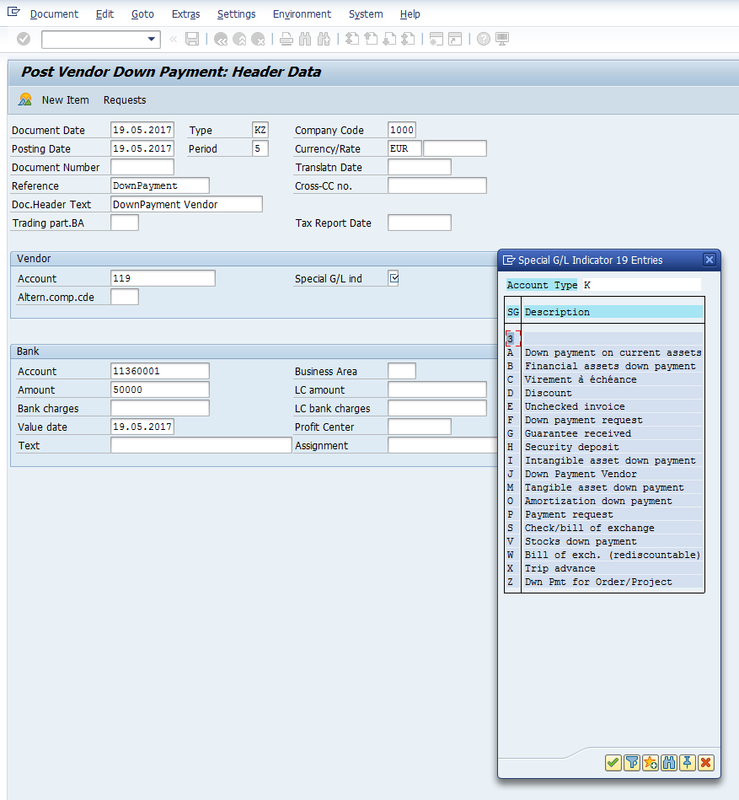 The documents posted with these manual transactions will appear in the system with KZ document type. Partial payment: it is used in cases when a partial payment for a certain open item is needed. The system will keep outstanding both documents: the original open item (invoice) and the partial payment until full outstanding amount will be settled. Residual payment: it is related to partial payments also, but the original open item (invoice) is cleared with the residual payment and the system will create a new outstanding document. Vendor Account: the account where open items to be paid are booked. After filling in the fields on the initial screen, press Process Open Items button to display the list of open items. 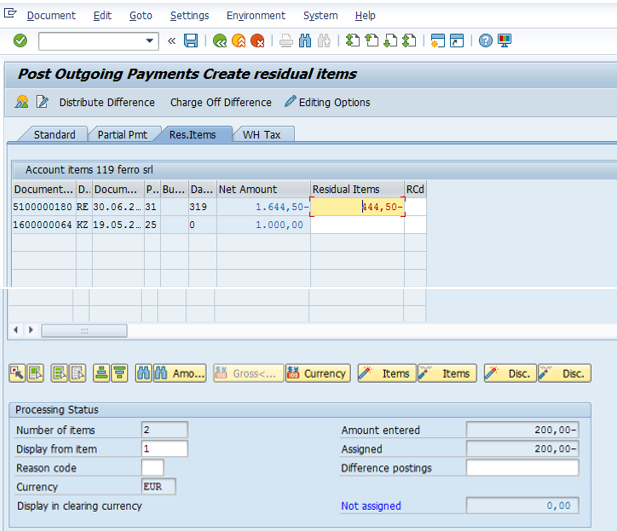 Assign the payment amount to the appropriate invoice to balance the payment with the invoice amount as shown below. 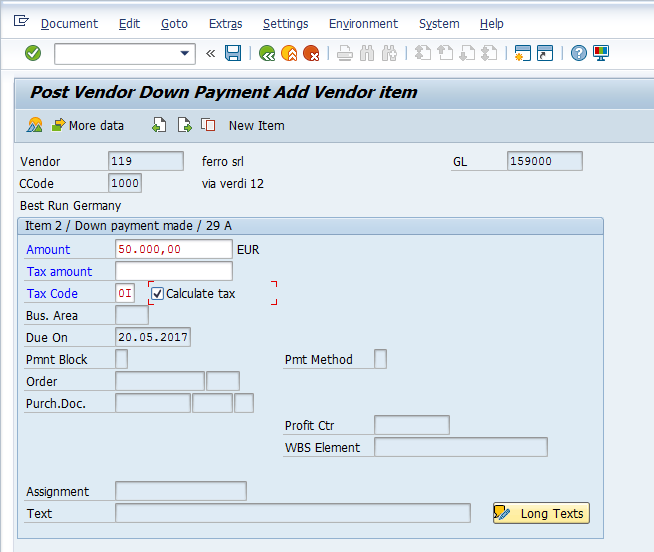 If the balance of the open items assigned is showing nil in the field “Not assigned”, then post the transaction using button from the standard toolbar. Now, let’s see the result of our posting by comparing the open items report before our manual payment and after the manual payment. 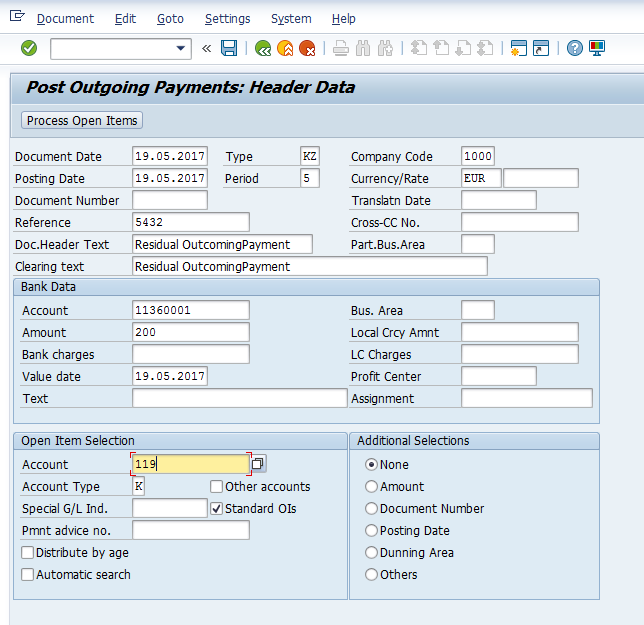 This report is displayed in FBL1N transaction. 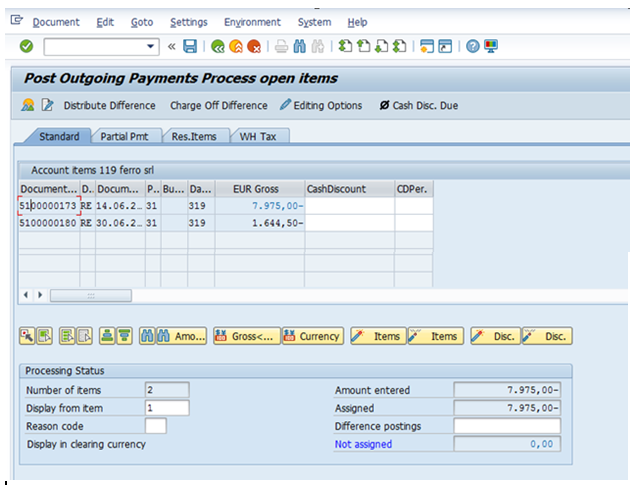 In SAP, it is possible to post a partial payment for a specific open item. The partial payment will be posted as a separate open outstanding item. 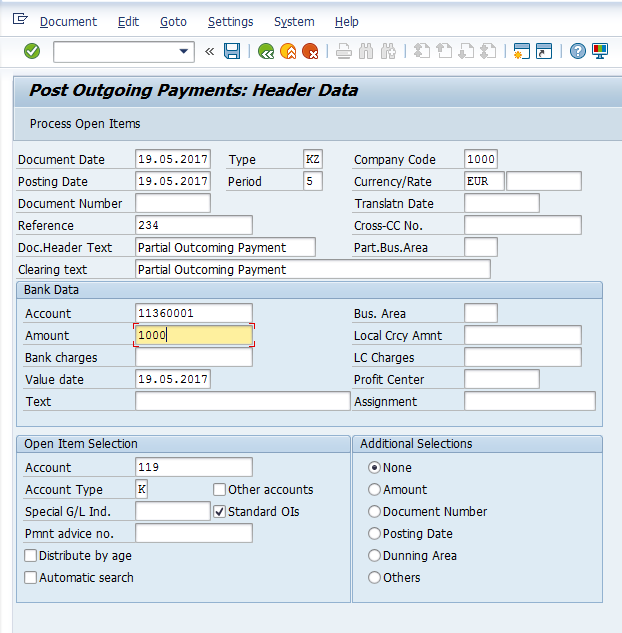 No clearing document is created between open invoice and payment document. To post a partial incoming payment, start the same transaction F-53 as explained above. After filling in the fields on the initial screen, press Process Open Items button to display the list of open items. In the next screen, go to tab . Next, select and activate the invoice against which the partial payment has to be made. Also, enter the partial amount for payment. If the balance of the items assigned is nil, then press Save button to post the document. 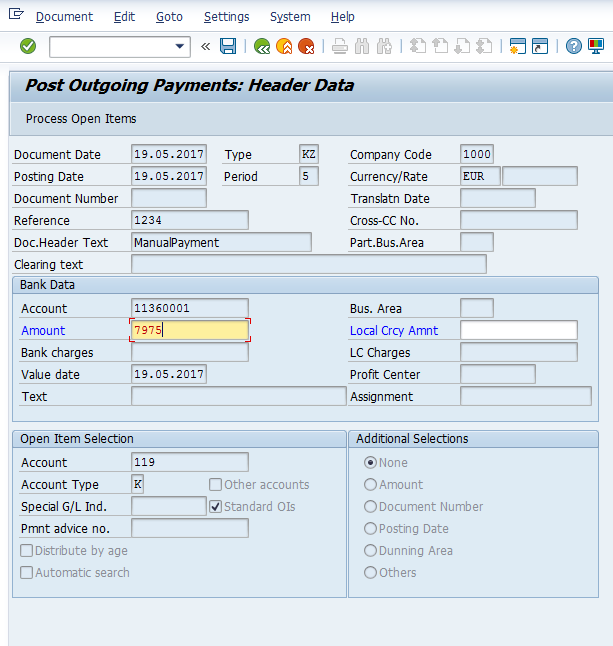 The residual payment method in SAP clears the partially paid document and creates a new document with the residual amount as an open item. To post a residual incoming payment, start the same transaction F-53 as explained above. After filling in the fields on the initial screen, press Process Open Items button to display the list of open items. In the next screen, go to the tab . Here, you should select and activate the invoice against which the residual payment has to be made. Next, enter the residual amount for payment. Now, let’s see the result of our posting by comparing the open items report before our residual payment and after the residual payment. 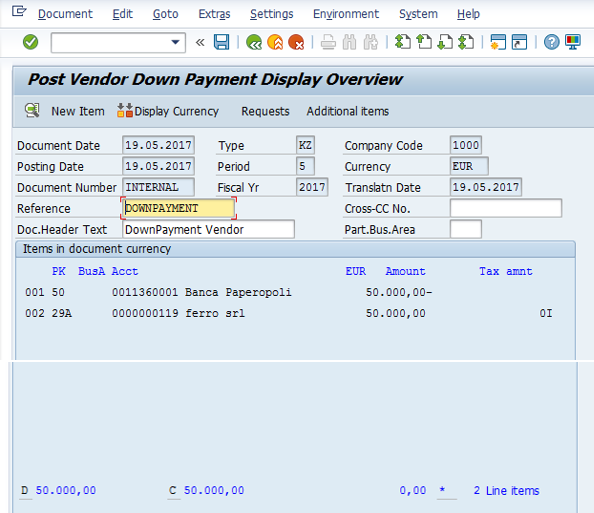 This report is displayed in FBL1N transaction. Vendor Account: the vendor to be paid. Special G/L indicator: indicates the down payment type (current assets, trip advance, discounts, and guarantees). Needs to be selected from the drop-down menu. After entering the information on the initial screen, press Enter to go to the next screen where Due Date and Tax Code fields require your input. 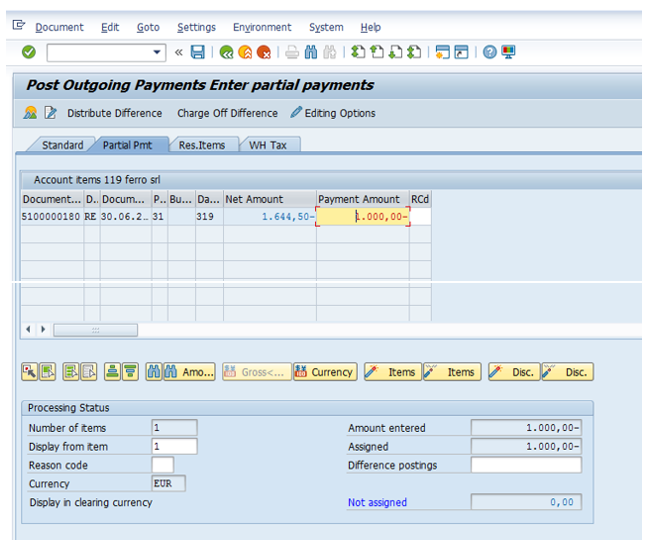 Simulate the transaction posting on G/L accounts and check the balance using button . If the posting simulation has the expected result, then press post button . To check the effect of the posting, go to the transaction FBL1N. The DP remains outstanding until it will be cleared with the final invoice that will close the DP. I have a question how to post if we pay to vendor through cash not by bank? The process is same or there is any difference?